Imaging the World is an 11-year-old nonprofit organization based in Burlington, Vermont, in the USA. Together with its Ugandan-based affiliate, the group has already had an impact on over 300,000 lives in Uganda. 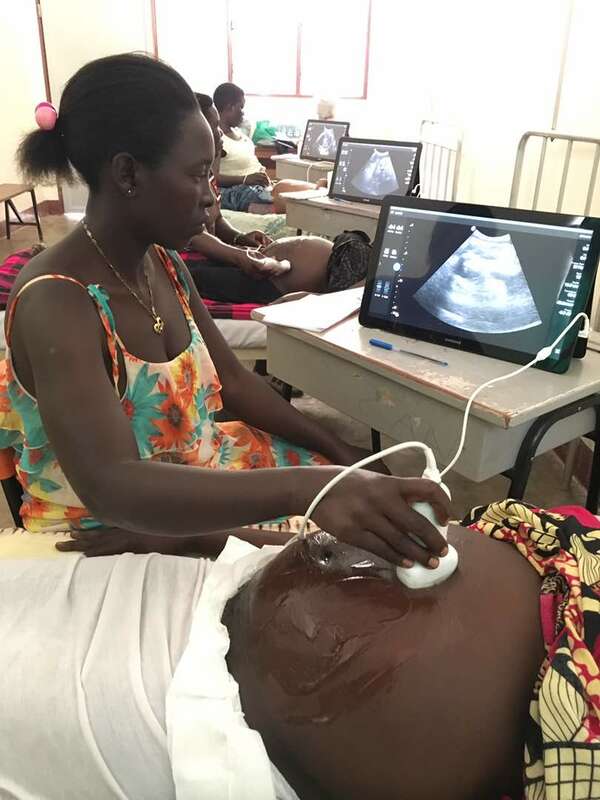 With help of the Philips Foundation, three rural health clinics in Uganda can provide pregnant women with potentially life-saving ultrasound scans thanks to new equipment of Philips and training provided by Kampala-based Imaging the World Africa. The ultrasound scans offered at the clinics alert women and their caregivers of potentially problematic pregnancies, enabling the women to travel to larger medical facilities for delivery and improving outcomes for both mothers and newborns. The Gulu clinics are in a remote area of northern Uganda, one of the most isolated parts of the country near the border of South Sudan. Pregnant women experiencing complications during delivery must travel up to two hours to the nearest regional hospital. This difficult trip can prove fatal for mother and unborn child if the journey is undertaken only after a delivery is clearly in trouble. Routine prenatal scans alert women and their medical caregivers when a woman should travel to a larger medical facility prior to delivery so she can receive all necessary care. Imaging the World has created a fully sustainable model for providing ultrasound services in rural areas. At the clinic level, the group trains nurses and midwives to perform scans and interpret them. Using a train-the-trainer approach, the number of medical staff in rural areas with ultrasound skills is steadily increasing. In addition, Imaging the World uses a number of strategies to ensure financial viability of the program at each clinic. For example, a small fee for the scan at the private clinics helps to cover the costs of the power, network, and ultrasound gel consumables required to scan. A novel quality-control component is also built into the Imaging the World program. Using proprietary telemedicine, scans can be sent via the mobile phone network to Kampala for peer review. The clinics in Gulu are using Philips Lumify ultrasound machines because of their diagnostic abilities, portability and cost. The machines can also be charged by solar panels. Training is an ongoing process. Once fully up to speed, the three clinics in Gulu are expected to provide 50 scans a week each. As the skill level grows at each clinic, staff will take on more and more responsibility. In addition to work with rural clinics, Imaging the World works with the hospitals where women are referred to ensure the hospital can handle the potential complications. Imaging the World and the Philips Foundation are working together to finalize two additional launches in health facilities in Gulu, Uganda this year. One site is a referral hospital for mothers with an aim to build capacity in the maternity ward, while the other will demonstrate the sustainability of the model.